"Governments that do not respect central bank independence will sooner or later incur the wrath of the financial markets... and come to rue the day they undermined an important regulatory institution." 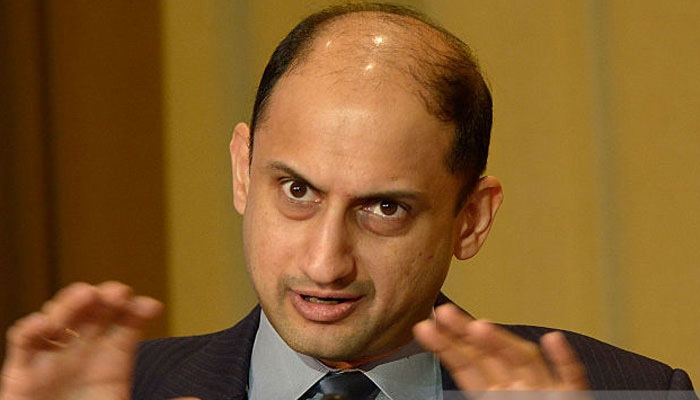 New Delhi: In a wide-ranging speech on Friday, Reserve Bank of India (RBI) deputy governor Viral Acharya reiterated the importance of independent central banks around the world, noting that “governments that do not respect central bank independence will sooner or later incur the wrath of the financial markets, ignite economic fire, and come to rue the day they undermined an important regulatory institution”. Delivering the A D Shroff Memorial Lecture in Mumbai, Acharya started by highlighting examples of where central bank independence had been compromised – from Argentina (Martin Redrado’s exit) to the US (Volcker’s fight with the Reagen adminstration) – to show that in each case, the country’s economy suffered as a result. Also Read: How Can We Discourage IL&FS and Other Shadow Banks from Relying on Short-Term Funding? “This complex interplay of the sovereign’s exercise of its powers, the central banker’s exit, and the market’s revolt, will be at the center of my remarks today on why it is important for a well-functioning economy to have an independent central bank, i.e., a central bank that is independent from the executive branch of the government,” the deputy governor said. Closer home, the RBI has for the last year been fighting a three-pronged battle with the Narendra Modi government. The issues concern: the role of the central bank in regulating India’s public sector banks (PSBs), specific government decisions such as the appointment of politically-tinged candidates to central bank’s board, the need for a new and independent payments regulator, and the issue of transferring the central bank’s excess capital to the government. In his speech, Acharya touched indirectly on all issues. On the matter of greater central bank control over PSBs, the RBI has recently been in a back-and-forth with the Centre over whether the prompt corrective action (PCA) framework should be relaxed as a means of reviving weaker government banks. The central bank naturally feels that it should not, as it could lead to greater bad loan risks, while the Modi government believes that by relaxing PCA rules it will be able to revive credit growth in certain sectors. The larger debate over the power the RBI has over government banks was first raised in light of the Nirav Modi scam, when governor Urjit Patel indirectly hinted that there was no point in blaming the central bank for the Punjab National Bank controversy, as it had “weaker regulatory powers” when it came to PSBs. In August 2018, the Modi government appointed chartered accountant S. Gurumurthy and banking industry executive Satish Marathe to the board of the RBI. The decision raised eyebrows in certain circles, as governments in the past have generally inducted industry captains or people without publicly-declared political leanings. Gurumurthy is associated with the right-wing Swadeshi Jagran Manch while Marathe was the treasurer of the Akhil Bharatiya Vidyarthi Parishad during his college days. 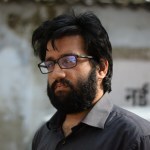 While Acharya didn’t address this under the India-specific section of his speech, he did point out that appointing “government-affiliated officials” to “key central bank positions” could result in short-term gains for a government but would in the end reduce a central bank’s horizon of decision-making. Setting up parallel regulatory agencies with weaker statutory powers and/or encouraging development of unregulated (or lightly regulated) entities that perform financial intermediation functions outside the purview of the central bank. On the issue of whether the RBI should transfer its excess capital or reserves to the Centre in order to be used to recapitalise India’s banks – a debate that has gone on for the last four years and has found favour with former chief economic adviser Arvind Subramanian – the deputy governor emphasised that having “adequate reserves… is considered an important part of the central bank’s independence”. Acharya ended his speech by re-emphasising the need for greater executive respect for the independence of central banks. “As many parts of the world today await greater government respect for central bank independence, independent central bankers will remain undeterred. Governments that do not respect central bank independence will sooner or later incur the wrath of financial markets, ignite economic fire, and come to rue the day they undermined an important regulatory institution; their wiser counterparts who invest in central bank independence will enjoy lower costs of borrowing, the love of international investors, and longer life spans,” he said.